Can alimony be ordered before my divorce is final? If there’s a significant disparity between your income and your spouse’s income, a Canadian family law court will often order “temporary” alimony or spousal support. “Temporary” spousal support lasts only until all matters involved in your divorce are decided. In deciding the amount of temporary spousal support, a Canadian family law court mainly looks at two questions: Does the spouse requesting alimony have financial need for that support? and Does the other spouse have the financial ability to pay alimony? Since the final determination of spousal support is based on a much more comprehensive consideration of your entire situation, your temporary order could be very different from what your final order of alimony will be. If I tell you my income and that of my spouse, can you tell me how much alimony I’m likely to pay? Some people assume there’s a formula to decide whether to grant spousal support, and if spousal support is awarded, to decide how much spousal support. However, there is no such formula (although there are advisory guidelines). The court has a lot of flexibility in deciding whether spousal support should be awarded and if so, how much support and for how long. So, you can’t generalize from results of other divorces to predict how the court will find in your case. You’ll need a Canadian family law lawyer to make a detailed and in-depth investigation into your and your spouse’s circumstances. How do the courts decide whether to make an order of alimony? The longer a relationship lasted, the more likely it is that a court will order spousal support. In addition, an order of spousal support is more likely under the following circumstances: one spouse’s income is considerably higher than the other’s; one spouse’s ability to support himself or herself is reduced because of child care or other obligations incurred as part of the relationship; or when one spouse is unable to maintain him or herself despite making a good-faith effort to do so. Canadian family law law recognizes a responsibility on the part of a dependent spouse to become self-sufficient. 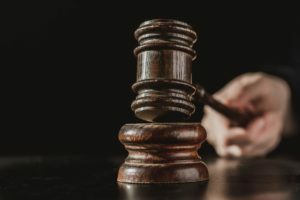 However, as a judge can’t tell how long it will be before a person becomes self-sufficient, normally alimony is awarded for an “indefinite” period of time – which could mean forever. This is likely in the cases of lengthy marriages, especially when the dependent spouse is unable to re-enter the workforce because of physical disability, age, child care obligations. A new development in Canadian family law that is gaining popularity is a “review” clause. This means that a court has the right to review alimony at a specified time in the future – say, 3 or 4 years from the date of the initial order – to see what steps a spouse has made towards self-sufficiency. Why Do We Have Spousal Support (Alimony)?